If you need power and room, the Equinox offers the most passenger and cargo space in its class, as well as the most powerful standard engine in the entire compact SUV category. The muscular good looks, comfy seats and long list of optional features are just icing on the cake. It runs pretty smoothly and I haven't had any major issues out of it. My car runs really well. It does have some issues that have developed over time. Mainly due to poor maintenance. I've been unemployed for a while and haven't had the means to get basic maintenance. For starters it is a little jerky when it switches gears. It's also a little loud. When I bought the car, I didn't even notice when the salesman started the engine. That's how quiet it was. But now I can hear it start from the inside with the windows rolled up. I have been dealing with a short somewhere in the dashboard since a few months after purchasing. Then a few years ago, the car kept overheating. Turns out there is a short in the wires connecting to the engine fan. About a year ago, the either the connector or the cable that attaches to the battery frayed or shorted out or something and had to be replaced. Other than those issues, most of the other issues I am having with it at the moment are because it need maintenance. The Chevy Equinox the most reliable and safest vehicles for my family. 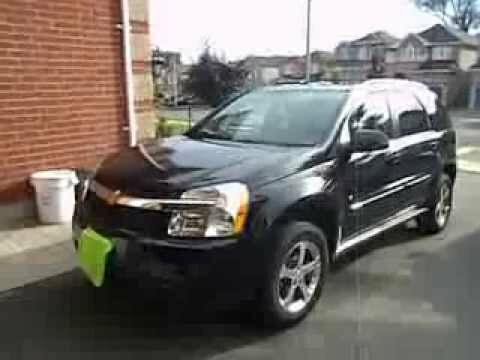 The performance of the 07 Chevy Equinox is great. It drives smoothly, you do not really feel bumps in the road. As far as I can tell, this vehicle is extremely reliable. I wouldn't be scared to take it cross country. The Equinox has gotten my fiancé to and from work in Louisville, Lexington, Elizabethtown, etc. It is gotten us to and from doctor appointments with no problem. It has several features such as seat belt latch sensors, cruise control, radio controls on the steering wheel, shows how many miles until you need to get gas, gives warnings on the dash if the roads are hazardous. The Chevy Equinox is a pretty comfortable ride. The seats lay all the way back, the back seats slid back to have more legroom for back seat passengers. There's a lot of cargo room. It also fits 3 car seats in the back with plenty of room in between each. 2007 Chevy Equinox ls AWD. My Chevy Equinox has had several problems with it. The service airbags light has been going on and off for the past few years. Also, my thermostat does not work right. A saying will pop up and say "engine hot a/c off, " then after a while the thermostat starts working again and the check engine light eventually shuts off. Also, the gas gauge does not work very well. Sometime the gas gauge is right but most of the time it is not. It will show half or less then have after I have just filled it, then the next time I turn the car on it shows a different level. My digital miles it what I go by. I love how well the vehicle get around. It handles and gets through the snow and mud pretty well. The gas mileage is not too bad either.